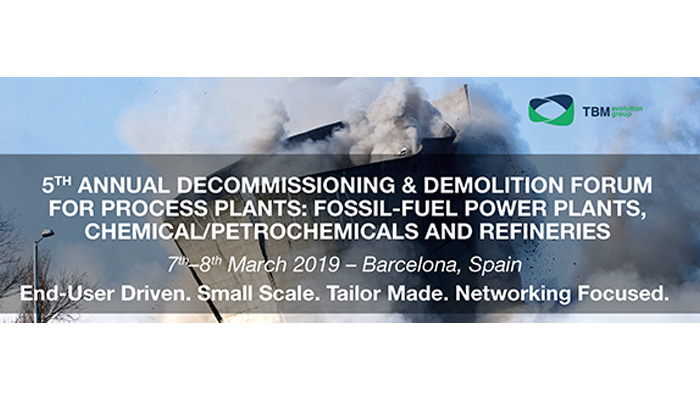 TBM Group has announced the dates for their upcoming 5th ANNUAL DECOMMISSIONING & DEMOLITION FORUM FOR HIGH HAZARD PROCESS PLANTS that will take place on 7-8 March 2019 at Novotel City Hotel in Barcelona (Spain). 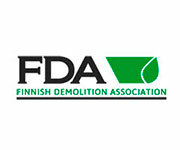 European Demolition Association will participate in the forum with a conference named “Global trends in DDR (Demolition, Decontamination, and Recycling). 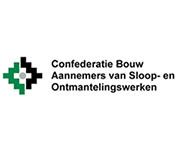 How DDR generates added value for asset owners” on 8 March. The event is a continuation of TBM Group’s Annual Decommissioning & Demolition Series, The forums, which have been running successfully for 5 consecutive years, had earlier focused solely on fossil fuel power plants, but this year have been extended to include chemical/petrochemical plants and refineries, providing a unique opportunity for cross-industry exchange of best practices and lessons learned. Bringing together senior representatives across the whole value chain, the event will enable participants to achieve insights in the planning, preparation, and execution of decommissioning and demolition projects for process plants. Attendees will learn about the best practices from the leading operators and contractors that have experience in heavy industrial demolition and get the full picture of state-of-the-art techniques for DDD projects in highly hazardous industries.